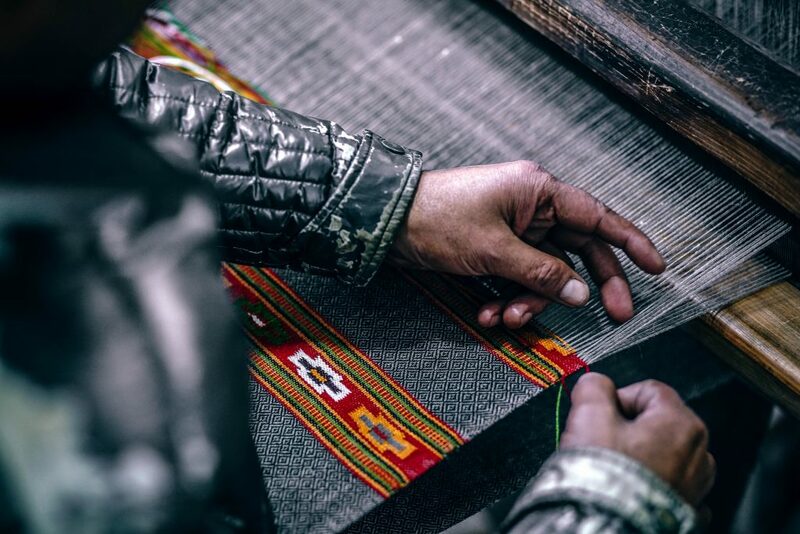 Textiles manufacturing is one of the world’s oldest industries, but today it has become one of the most polluting, consuming huge quantities of water and energy while producing solid waste and greenhouse gas emissions. Growing cotton for a single T-shirt requires 2700 litres of water while its production and distribution can have a significant CO2 footprint. Recycling textiles like cotton can be energy intensive and isn’t simple, since the resulting downscaled fibres are low quality and can’t be used without combining with new materials. Although new techniques to separate and recycle cotton blends are still being developed in the lab, these methods are a long way from becoming mainstream. Today we see a vicious cycle where our consumption drives the production of massive amounts of cheap, almost-disposable apparel that quickly becomes useless to anyone, with 350,000 tonnes of clothing going to landfill in the UK every year. One of the simplest and most effective ways to reduce the environmental impact of what we wear is to extend the lifespan of clothing for as long as possible, squeezing the maximum value out of each item, reducing the requirement to consume further material. For consumers this can be a challenge as we see huge amounts of cheap (but often low quality) items flooding our high streets as the fashion industry demands us to replace or update our wardrobes each season. Circular Economy: A New Hope? More and more organisations are realising the need to disrupt the conventional patterns which create huge quantities of waste. One such disruption is the ‘circular economy’. The Ellen Macarthur Foundation, the leading voice on the circular economy, works with many well-known companies in different sectors to find ways of changing the current take-make-dispose model that currently dominates. Meanwhile, outdoor brand Patagonia leads the way in finding ways to extend the life of clothing through offering repairs and lifetime guarantees while teaching people how to repair and reuse at events around the world. But the items we buy from the high street aren’t the only source of clothing waste. Companies, charities, events and conferences routinely purchase branded textile products and clothing as an effective way to indicate a staff member’s affiliation, to communicate a marketing message or simply to keep their logo in the eye-line of thousands of potential customers. Clothing produced for this purpose may only be used once since there is a need for companies to update and upgrade their branding for new events, promotions or simply to ensure the brand continues to look “current” or relevant. These items have no value in secondary markets even though they are often , with huge quantities of items turning up in landfill sites across the globe. 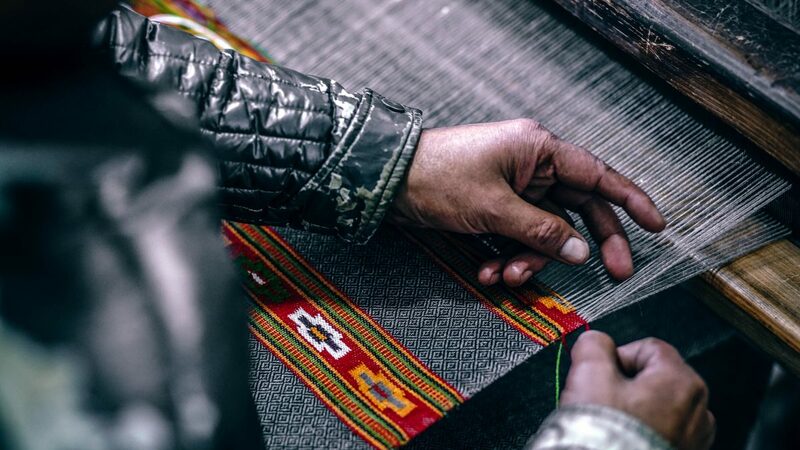 Environmentally conscious organisations can choose to purchase their branded apparel from manufacturers certified for making a more positive impact or made from more environmentally friendly materials such as organic cotton, bamboo or even hemp. However, this comes at an increased cost and does nothing to solve the issue of items being under-used, their value not being fully realised and ultimately creating more waste. The humble T-shirt is the most ubiquitous item of clothing in the world, surviving through the generations due to its simplicity and practicality. It’s these qualities which make them an ideal way to demonstrate the power of reuse. Encycled is working to develop promotional t-shirts and textiles that are re-usable by making branding removable and re-printable. One item can then be given a second, third or thirtieth life, hugely reducing its environmental impact, while inspiring us all to create less waste. Some of the biggest challenges we face might have simple solutions. Next time you attend a conference, festival or trade show, take a look around – what single-use items can you find and how can we best reduce their impact on the earth?